My name is Jose Manuel, I am 22 years old. 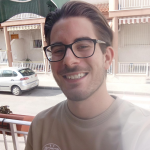 I am a Spanish boy who is studying Law at University, in my last year degree. I still live with my parents, my grandfather and my family is a little peculiar because we are nine brothers and sisters. I have five sisters and three brothers (I am the third of the older) and everyone could think it is crazy but we are very organized and I love my big family! We are a little town! And for that reason, since I was born, I have taken care of my brothers and I know when I have to be serious and responsible. About me, I am a funny boy who always loves to take jokes, play and I like to be in a good mood but, as I said, I know when I must be serious. I always want to play outdoors, play soccer, go to the gym... I love to move! I am also good at studying science, maths, etc so I would be happy to help the children if they need it. To conclude, I love playing the ukelele, reading science fiction books and I really love hiking. Working as au-pair allows me to apply everything I know, while I live with a new family in a new place, improving my english... and that is what I am passionate about and I am wishing it. I strongly believe that this work can be a good way to expand my perspective, meet new people and learn a lot about everything I can. About my experience, I am currently working in a dining room of primary school when I teach kids from 3 to 12 years old to eat well and all kinds of food. After lunch, we make games and gymkhanas until their parents come. I have been working there for almost 4 years and I love. Also, I have cared for childrens for a long time at night and I know how to cook light meals and I help them to order everything before going to sleep. And from time to time, I give them private lessons of any subject. My contract in the dining room is at your disposal if you want to see it. I am at your complete disposal for any contact but If I could choose I will prefer star since July if were possible but please contact with me for other possibility. Thanks you for everything.